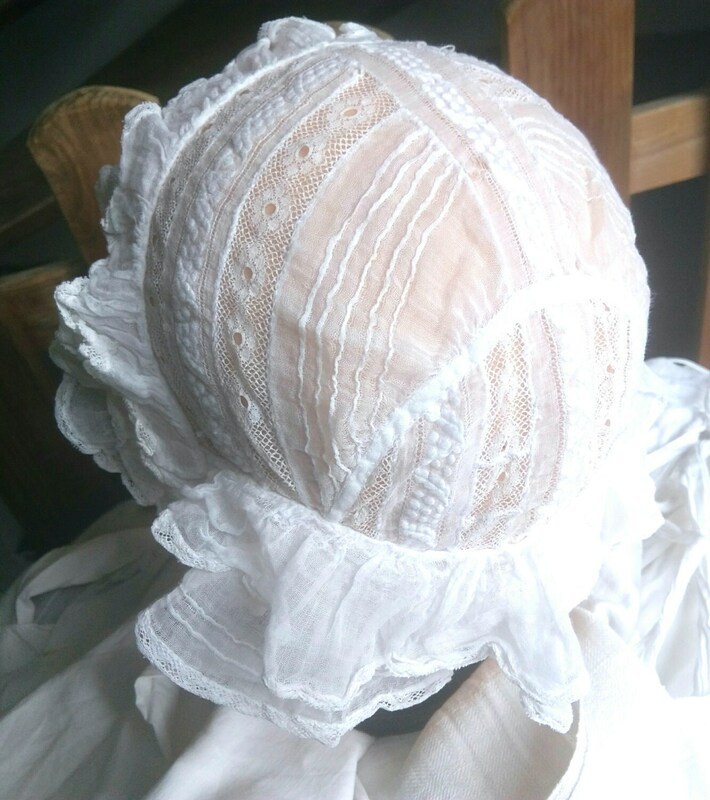 Delicate White French Woman Bonnet long straps.Lacy ruffled Victorian Handmade Sheer Cotton hat from late 1800's. 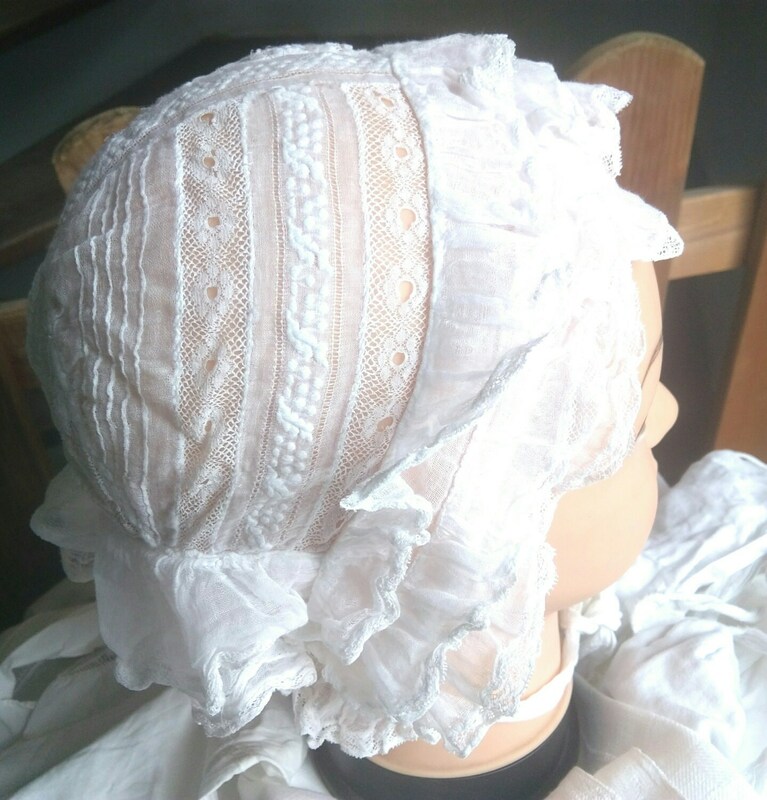 Small size average 18 in.Bonnet length 23 in. (not size) tall 8 in. 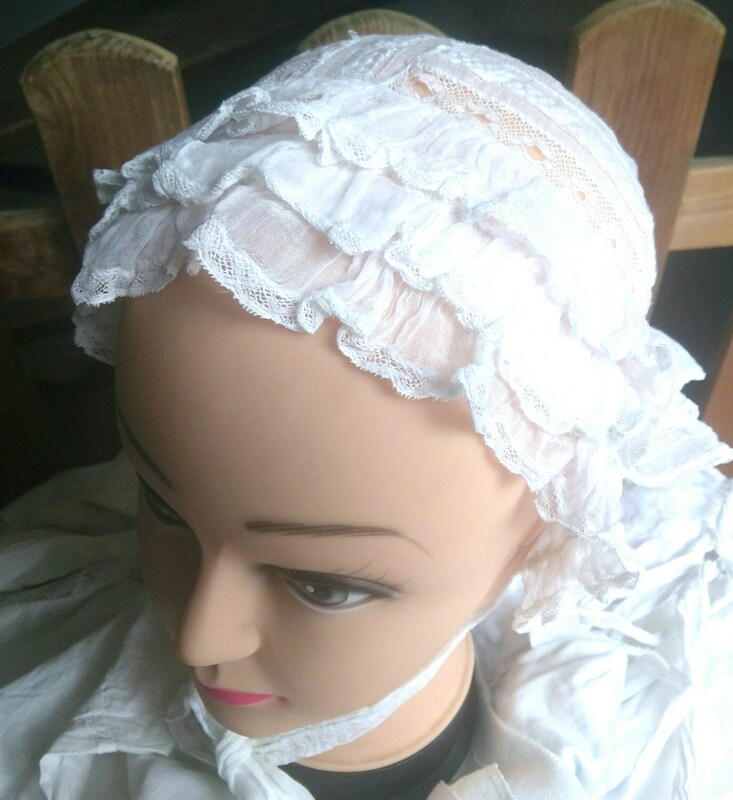 Authentic Antique Victorian Hair Cap. Vintage condition worn but good. 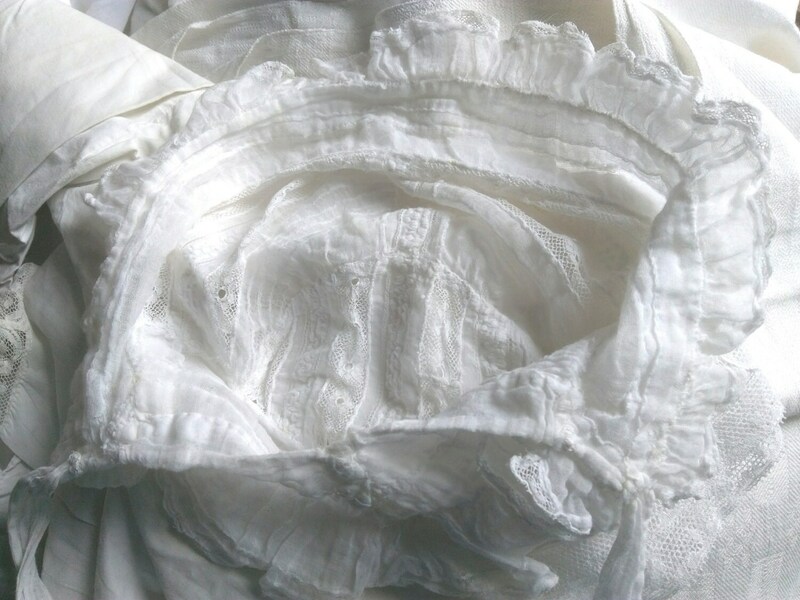 Lovely lace ! Collectible or to decorate! 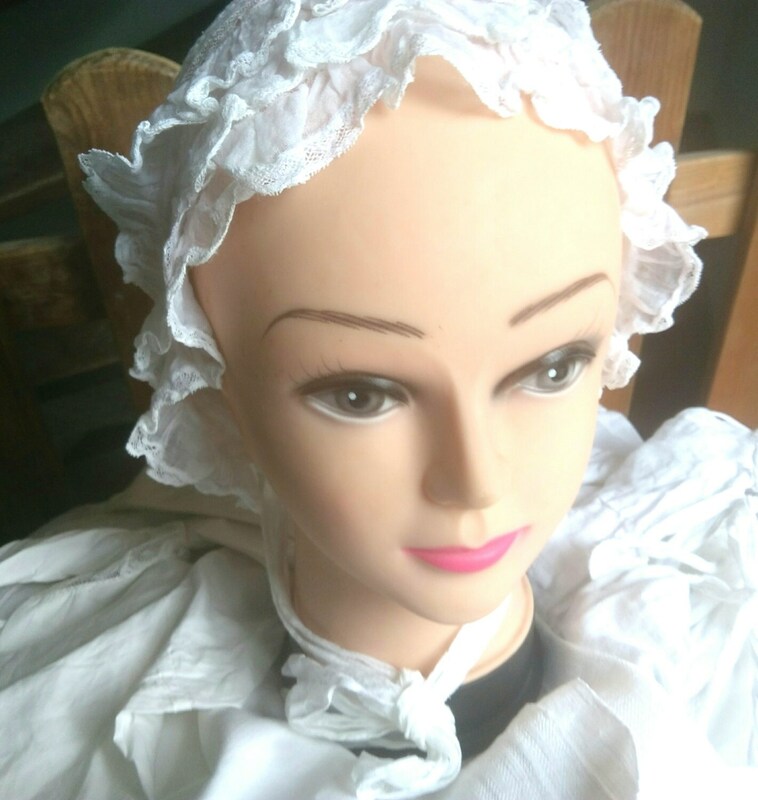 Also to be worn again as part of a costume for theater, movies etc.